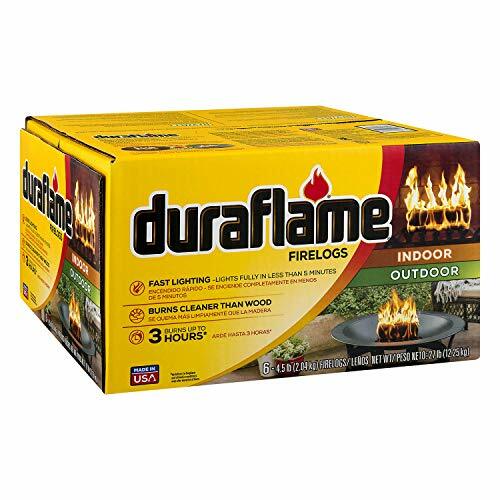 Duraflame 6pk 4.5lb Firelogs provide a convenient and authentic indoor or outdoor fire experience. Burns up to 3 hours. Fast lighting - lights fully in less than 5 min. Burns cleaner than wood. Duraflame firelogs light faster and burn more completely than firewood, and because far less material is consumed when burning a firelog, significantly fewer pollutants are emitted than a comparable wood fire. 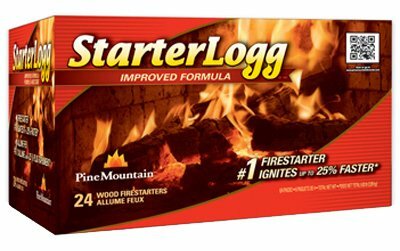 Starter-Log, America's No.1 brand in fire starters, is the fast, no-fuss way to start a real wood fire. No need for newspaper or kindling-enjoy all the crackling goodness you love with the simple strike of a match. 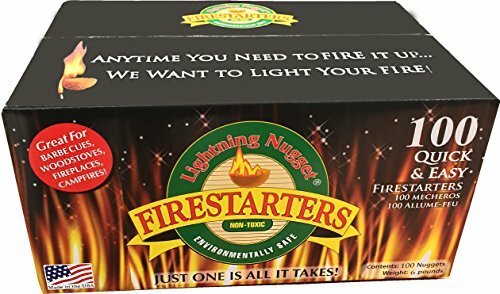 Get your grill or campfire going in minutes with the Lightning Nuggets Fire Starter. These non-toxic nuggets are completely safe for the environment, making them ideal for outdoor use. Dimensions: 10W x 6D x 5H in.. Constructed with wood and wax. Nuggets are non-toxic and safe for the environment. Use to light grill or campfire. 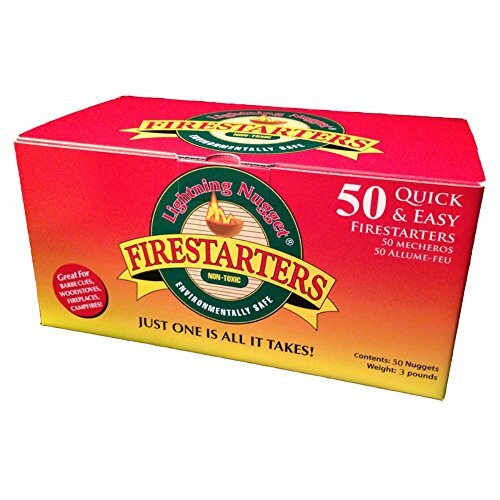 Contains 50 fire starter nuggets. Dimensions: 10W x 6D x 5H in. BURNS ANYWHERE Naturally insulated to burn directly on top of water, sleet, snow, ice or anywhere else. Once lit, will sustain winds up to 30 mph and burns up to 1000 degrees Fahrenheit. Long burn time, 25 minutes per pouch. GREAT SUBSTITUTE TO PROPANE OR FLUID Burns green. Environmentally friendly alternative to slow-to-burn fire cubes, blocks, or cheap, toxic fluid. Works in wood burning stoves and fire pits. Will light your wet wood, and actually floats on water. AS SEEN ON SHARK TANK! Perfect for starting a fire while backpacking, snowmobiling, hiking, camping. Anyone who loves the outdoors will appreciate the handy packets that start up to 4 fires each. Easy to carry anywhere. 1. Hold the ferro rod close to the tinder at about a 45-degree angle. dead grass or weeds, fine, dry wood shavings, twine pulled apart, dryer lint or cotton balls... all make good tinder. 2. Place the scraper near the top of the rod (so it makes solid contact with the rod). Many people will hold the ferro rod next to the tinder and rub the scraper toward the tinder. By pulling the rod back (instead of rubbing the scraper forward) you'll create a spark at the same place. But you'll do it without risking bumping the scraper into your pile of tinder and scattering it all over the place. Because Ferro rods contain iron, they're often coated to prevent oxidation. You'll need to scrape away the coating to expose shiny metal before first use. Provides up to 3000 degrees C spark in all weather, at any altitude. 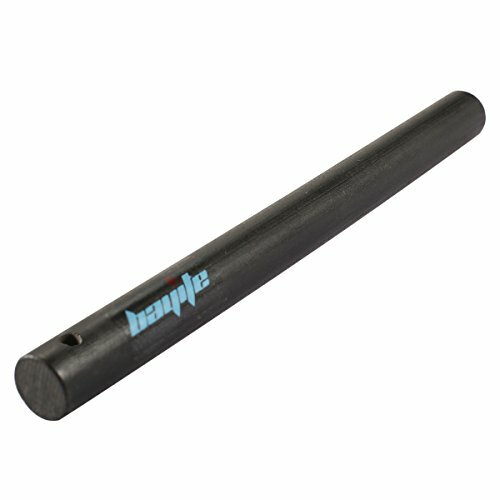 Durable, lasts for approximately 12,000 strikes. Perfect emergency fire starter for Bushcraft, Hiking, Camping, Hunting, Fishing, EDC, Emergency, BBQ, Gas Camp Stoves, etc. Designed for use with the Spark-Lite firestarter, the Tinder-Quik tab also works well with matches, lighters, flint strikers, etc. Simply pull the tab apart, ignite it, and add kindling. These are the same tabs included in military aviator survival kits. Designed for use with spark generating ignition tools like the Spark-Lite firestarter or ferro rods, the Tinder-Quik tab also works well with matches, lighters, flint strikers, etc. Simply pull the compressed cotton tab apart, ignite it, and add kindling. Tinder-Quik tabs burn for 60 seconds or more even in harsh environments, greatly increasing fire-building success rates. 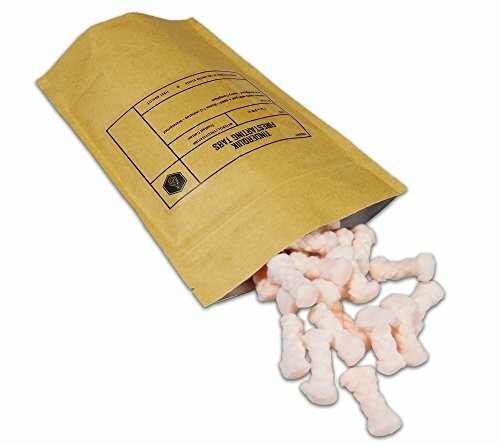 These are the same tabs included in military aviator survival kits, and are popular for downed pilot and backcountry professional survival kits around the world. Windproof, waterproof TinderQuik compressed cotton tinder tabs ignite easily, even on damp windy days. Manufactured in the USA. Complies with Berry Amendment. Add a rainbow of color to your fire with these color-changing Fireplace Color Cones. Each of these pine cones creates blue and green flames that will last for about 5-10 minutes. 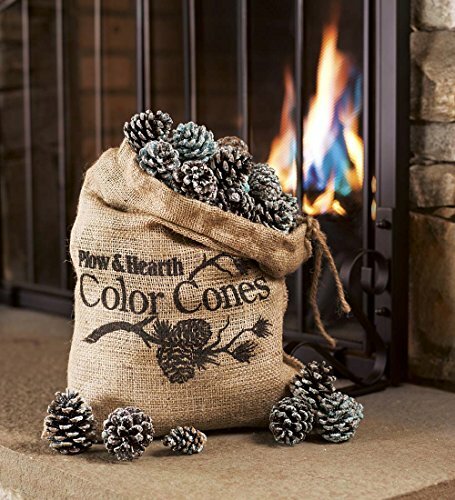 These fun fireplace cones create festive color for the holidays or any time. Try some for your own fireplace or fire pit - and they make a great gift, too! 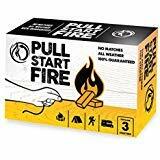 The Pull Start Fire is a must for camping trips, outdoor gatherings, emergency kits, and more. Simply loop the included green string around a log, build a log structure, pull the red string, and you'll have a fire started in no time! Built-in safety features included. Burns 2. 5 times hotter than leading brands for 30-40 minutes on its own, allowing extended time for logs to catch fire without kindling. 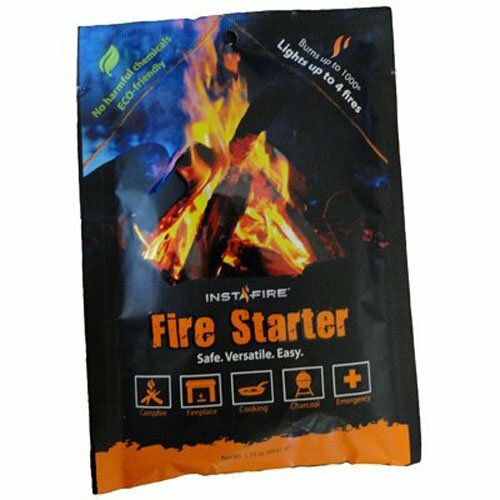 Pack of 3 starters for multiple uses. EASY: No matches or lighters needed. EFFECTIVE: Burns 2x hotter than other top fire starter brands. LONG-LASTING: Burns for 30 minutes. WIND PROOF: Starts and maintains flame in 200+ mph winds.